The Handbook of Arab American Psychology is the first major publication to comprehensively discuss the Arab American ethnic group from a lens that is primarily psychological. This edited book contains a comprehensive review of the cutting-edge research related to Arab Americans and offers a critical analysis regarding the methodologies and applications of the scholarly literature. It is a landmark text for both multicultural psychology as well as for Arab American scholarship. Considering the post 9/11 socio-political context in which Arab Americans are under ongoing scrutiny and attention, as well as numerous misunderstandings and biases against this group, this text is timely and essential. Chapters in the Handbook of Arab American Psychology highlight the most substantial areas of psychological research with this population, relevant to diverse sub-disciplines including cultural, social, developmental, counseling/clinical, health, and community psychologies. Chapters also include content that intersect with related fields such as sociology, American studies, cultural/ethnic studies, social work, and public health. The chapters are written by distinguished scholars who merge their expertise with a review of the empirical data in order to provide the most updated presentation of scholarship about this population. 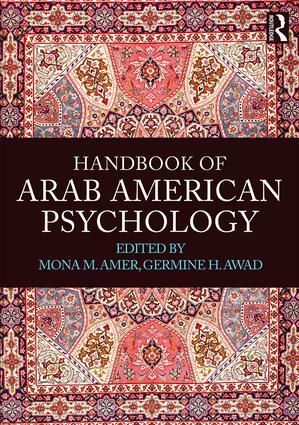 The Handbook of Arab American Psychology offers a noteworthy contribution to the field of multicultural psychology and joins references on other racial/ethnic minority groups, including Handbook of African American Psychology, Handbook of Asian American Psychology, Handbook of U.S. Latino Psychology, and The Handbook of Chicana/o Psychology and Mental Health.